Concessions can help your theater’s bottom line, so be sure that your movie theater, drive-in, or playhouse is stocked up on our movie theater supplies. Our catalog of products includes everything your concessions need, from food preparation products and display warmers to disposable soda cups and popcorn buckets. 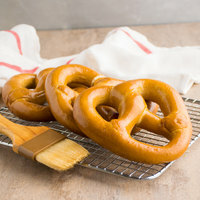 As an added bonus, we offer many types of prepared foods, such as soft pretzels, hot dogs, and chicken tenders, which are an easy and convenient way to increase your food sales. For more essential equipment for your concessions area, check out our straws, pretzel bags, and popcorn kettle cleaners. 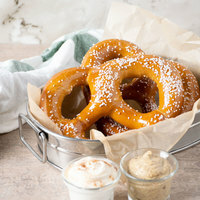 If you're wondering where to buy big apple pretzels movie theater supplies, we have a large selection of big apple pretzels movie theater supplies for sale at the lowest prices.